Join us for our first working bee for 2016 – in the twilight! 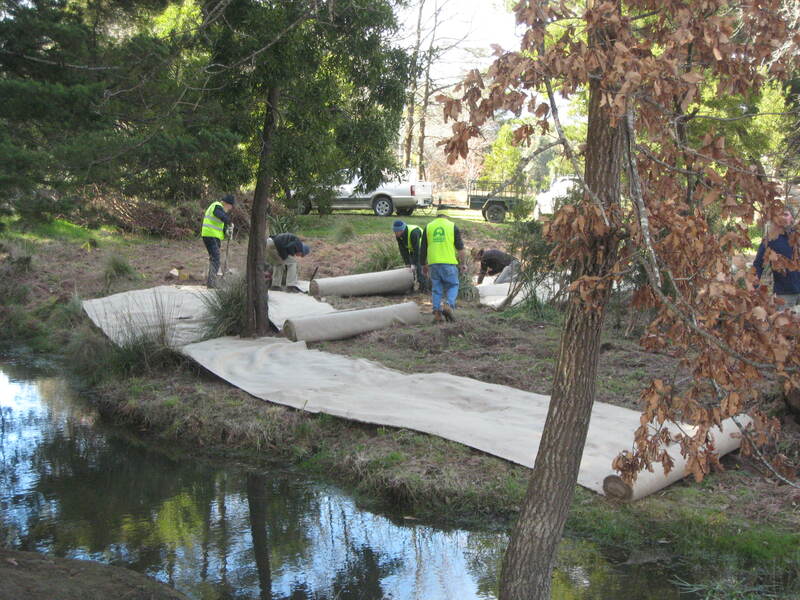 If you can spare a few hours, we’d welcome some help to maintain our spring plantings along the Five Mile Creek next to the Woodend Children’s Park. The Woodend Girl Guides had a ball planting along the creek in September last year. Please come along and help us make the plantings look their very best! Where: Along Five Mile Creek at the Woodend Children’s Park. Parking at Campaspe Park opposite the Woodend Primary School. Bring: Secateurs, gloves, whipper snippers. 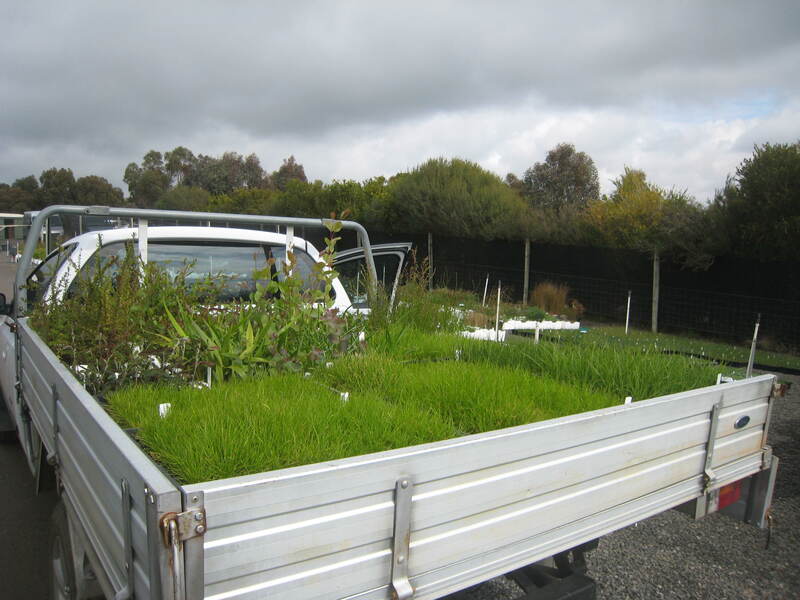 Tasks include maintenance of our Spring plantings at the Children’s Park (such as watering, weeding, plant guards, whipper snipping) and plant guard removal at the Wood St drain – there will be something for everyone. And, while you have your diaries out, our 2016 calendar is now up to date click here to view. Please note this event will be cancelled if the day is declared a Total Fire Ban. Our working bees are an essential part of the work we do and, as we often say, may hands make light work. If you’ve not been before give it a go! Our ‘bees’ are fun and we have a great morning tea. This time we’ll be planting 90 plants in amongst a previous planting, doing some brush cutting of long grass and watering a previous planting near the weir so, there’s a range of tasks to suit everyone. Parking: Parking is at the south end of Tennyson St or next to the walking track in Five Mile Creek Reserve. What to bring: Please wear boots, gloves, a hat, and sun protection and BYO water bottle. The tool trailer will be on site and morning tea is provided. This working bee will conclude our Spring plantings so don’t miss the chance to contribute to help restore this degraded section of the creek to an indigenous state. We’d love some help at our Spring planting event on Saturday. We’ll be at the Woodend Children’s Park in Nicholson Street (behind Mitre 10) from 9am. We’ll be planting into this weed mat so the little plants get the best start in life. Bring a friend or three, we’ve got 1,800 plants to plant! Morning tea provided to keep you going. Please wear gum boots and gloves. From 9am FREE black gum give away at the Woodend Farmers’ Market and at 11am Native plant presentation at Woodend Library, corner of Forest and High Streets. From 9am Community planting at Woodend Children’s Park – all help welcome. Please wear sturdy boots and gloves. Bring a friend or three. Morning tea provided. All week – Landcare display at Woodend Library.